Merry Christmas and Happy Cider Sunday!! This week’s cider is yet another from Sweden, what can I say... They appear to have it sorted when it comes to cider making. 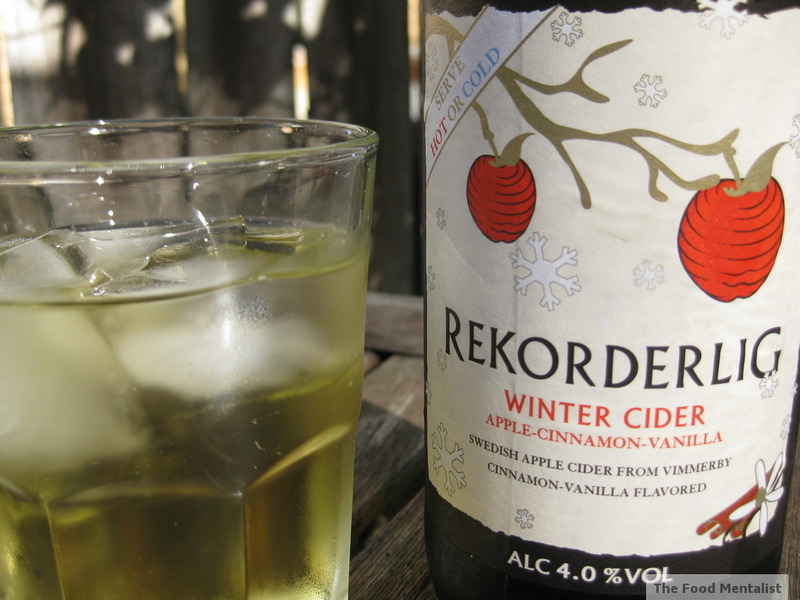 I chose this cider because it’s the perfect Christmas cider - Rekorderlig Winter Cider - Apple - Cinnamon - Vanilla. Forget the ‘Winter’ thing, although you would be forgiven for being confused over the last few weeks as it has hardly been traditional summer weather here in Sydney. This cider is the perfect cider for this time of year as these flavours really compliment the festive season - think Christmas pudding, fruit mince pies, fruit cake, trifle, egg nog and brandy. Yum! 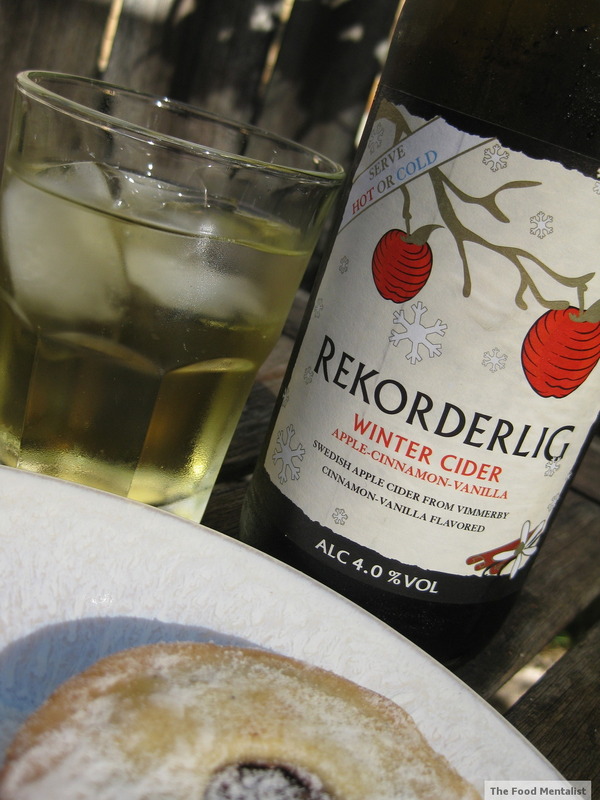 Rekorderling is a fourth generation family brewed cider from a small town called Vimmerby in Sweden. What makes this cider unique - when compared to many of the commercial ciders out there is that it can be served either hot or cold. As usual though, I chose to have mine with lots of ice, and on this occasion, a little fruit mince pie from Brasserie Bread which are just divine!. This cider is golden cider and the flavour combination works really well. It’s quite easy to forget you are drinking something alcoholic. This one is rather sweet, however the flavours help to balance this out rather nicely. The apple and vanilla flavours are dominant with just a hint of cinnamon. This one is definitely worth a try if you are a big vanilla or cinnamon fan. I found this one to be very refreshing and will definitely be enjoying some more of it in the near future. The bottles are 500ml so they are perfect for sharing. With 4% alcohol, one bottle will give you 1.6 standard drinks. Available at Dan Murphy's and all good bottle shops. Have a fantastic Christmas and New Year and stay safe. Our next Cider Sunday will be posted next year - only 7 days away! I'd love to try this one, sounds like apple pie in a bottle! Oooh! More cider! Love how I can turn to your blog for cider recs :) And the perfect weather for it too. Just tried it last night- anybody else think it tastes like Haribo Tangfastics? So yummy!